We are fortunate to live beside this oasis of nature within the city. Be sure to visit Friends of Fish Creek for information on programs and ways to show your support. 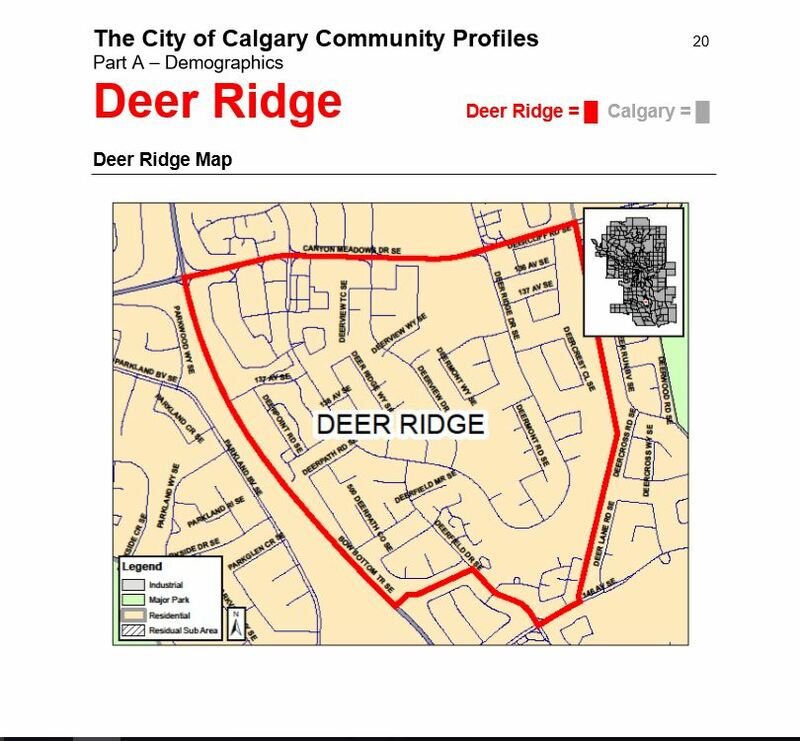 Visit Deer Ridge Home and Property page for some great links to help you along the way. The City of Calgary is offering free compost for residents to use in their yards and gardens this spring. The compost is made from the food and yard waste collected in the Green Cart program. Location: Calgary Composting Facility – 12111 68 Street SE – See driving directions. Cost: FREE for Calgary residents. The compost area does not accept garbage or other materials. For available disposal options, please see our Landfill Locations and Hours and Landfill Throw ‘N’ Go facilities. Sunday, June 10th, 2018 starting 10:00 am at Yellow Slide park (Deerview Place SE). Garbage bags and gloves will be provided as well as bottled water and snacks. Queensland/Deer Ridge/Diamond Cove “Dump your Junk” will be held on June 24th, 2018 at the Queensland Community Hall 649 Queensland Drive SE) from 9:00 a.m. to 2:00 p.m. This is a very popular event. Free to all. Free coffee and doughnuts provided. Not accepting: Tires, propane tanks, household chemicals, paint, batteries, large appliances. The Deer Ridge Community Association would like to acknowledge Queensland/Diamond Cove for organizing and sharing this event. Also, the City of Calgary for supplying the trucks. Also, just at the north edge of Fish Creek Park is a bike terrain park. Located just east of Bow Bottom Trail S.E. on 153 Ave. Parking and washrooms are available as well. Visit Pumps and jumps in Fish Creek Park for map and additional details. This skills park is great for family fun! To report graffiti, please call 311. If you see graffiti in progress, please call 911. Graffiti Free Calgary is a website with information for youth, adults and community groups regarding graffiti vandalism; including what to do if you have graffiti vandalism in your community, and what to do if you think your youth might be involved. Thank-you for your support! Do you have ideas for new community programs and events? Many hands make light work; please contact us to volunteer.